More and more, tourists are traveling to learn more about themselves, to develop new and interesting skills, and especially to discover parts of themselves that they’ve long known they possess, yet have never taken the time to explore or develop. Thai cooking, possibly the apex of Thai culture’s contributions to world heritage, is a classic example of the new experiential tourism. Unlike other more difficult and time-consuming endeavors, the joy of Thai cooking is that many dishes can be taught quickly and easily by experts in just a few lessons. These amazing new skills once taught can then be practiced anywhere, to the great joy of food-lovers throughout the world. If food is one of the great joys of life, Thai food approaches ecstasy in its exquisite combination of smells, tastes, and textures, often combined in one meal or even in one dish. CNNGo in its survey of the world’s 50 most delicious foods agrees, with Thailand’s Massaman Curry stealing the #1 position. It is described as “the king of curries, and perhaps the king of all foods,” noting its flavor as spicy, coconutty, sweet, and savory. Not too much further down the list we find more Thai favorites: Pad Thai, Tom Yum Gung, Nam Tok Moo, and the spicy salad Som Tam. Obviously, Thailand has good taste in food, and is willing to share her secrets with anyone who wishes to learn. Thai cooking classes have become an extremely popular creative tourism activity over the past decade. Obviously, Thai food can be enjoyed throughout the country, but four quite distinct regional cuisines predominate: northern, southern, north-eastern, and central. Aficionados may want to travel to the four corners of Thailand to try them all locally on their own turf, but if you want to enroll in a cooking course, there are 7 main centers to head for in search of classes: Bangkok, Chiang Mai, Chonburi, Koh Chang, Koh Samui, Krabi, and Phuket. Bangkok and Chiang Mai are the most popular destinations with a number of popular cooking classes and schools. Which ones are best? Part of it depends on exactly what you want to learn, but if there’s something in a name, you should check out The Best Thai Cookery School in Chiang Mai, which has excellent reviews and raves about Perm, the owner. Also in Chiang Mai is the Chiang Mai Thai Cookery School, a long-established Chiang Mai institution run by master chef Sompon. One- to five-day courses are offered at Beginner and Master levels. The school also has a homestay on the grounds for those who wish to live and breathe Thai cooking during their stay. There are a number of other excellent schools in Chiang Mai, as well as brief classes for those who do not have much time to dedicate to learning this trip. Any time spent will be well-invested, however, as you can learn the basics of Thai cooking, how to use Thai spices, and even visit local markets to learn how to buy the ingredients you will need at their tasty freshest. 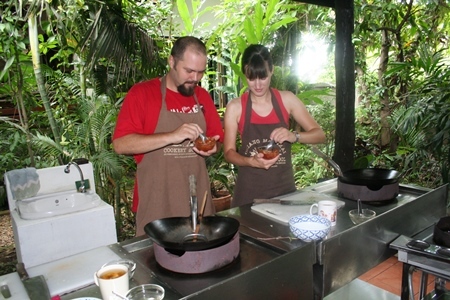 You may be surprised to learn that you can also have very natural, outdoor experiences learning Thai cooking in Bangkok. One popular school that you get to by long-tail boat takes you to a traditional Thai house where you will study the art of preparing Thai food. In fact, this school is called Thai House, and many of the fresh fruits, vegetables, and spices are grown right there on the grounds. Other popular cooking schools in Bangkok include Bai Pai Thai Cooking School, Bangkok Thai Cooking Academy, Silom Thai Cooking School, and for a truly upscale experience, the Mandarin Oriental Bangkok. You should do your research online before coming and book your class, as many schools limit class sizes and they could well be fully booked if you wait until you’re in Bangkok to contact them. For those of you heading to one of Thailand’s lovely islands, you’ll be pleased to know that Thai cooking classes can be taken there as well. 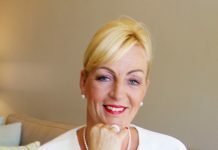 In Phuket, check out the Blue Elephant Cooking School; Koh Samui is home to the Samui of Thai Culinary Arts (SITCA) as well as Sonja’s Thai Cooking Class in Mae Nam; and Koh Chang Thai Cooking School is the place to go on that tropical island. In Krabi, you’ll find the Krabi Cookery School and the Lanta Thai Cookery School, while Chonburi offers the Happy Home Thai Cooking School and the Pattaya Cookery School. As you can see, there is no shortage of cooking schools or classes in all of the Kingdom’s popular tourist destinations. At the end of the day, it’s up to you to decide how much time you want to invest in learning or boosting your Thai cooking skills as well as your knowledge of tropical foods, spices, cooking methods, and aesthetic presentation. The more you put in, the more you’ll get out, and in the case of Thai cooking, what you get out are amazing, impressive, pleasing and delicious Thai dishes. The knowledge to create these culinary gems is something quite special to take back home with you from your holiday.